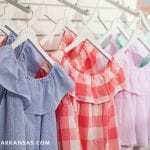 Lauren James has become one of the most well-known brands for women’s casual wear and dresses. Where did you first get the idea for the clothing line? I am a Registered Nurse but due to pre-term labor with my first child, I was put on bed rest 10 weeks prior to my due date. During that time I discovered my passion for designing sundresses, which—unbeknownst to me at the time—was the start of Lauren James! The reason I became a nurse in the first place was because I’ve always wanted to be a mother and nursing was a way for me to “mother” people in need. When my son Lofton was born, I couldn’t imagine leaving him so my husband suggested I start my own business based off of my love of design. We launched our first website in 2013 and have continued to expand since then. So, did your signature sundresses or your iconic comfortable Sweet Tees come first? I designed the dresses first, but my husband Lance is a brilliant entrepreneur and suggested that I expand my vision for the company to fill an area that was not being served fully. We realized there weren’t any Southern lifestyle brands focusing on women’s apparel. T-shirts were our first products to market and are still our largest product category, but we carry everything from outerwear to leather goods now. Where did you come up with the name Lauren James? The name is a combination of my name and my son’s. Having Lofton James was the inspiration for me to take control of my career and do what I loved while also being able to spend time with him. We really wanted the name to have a strong meaning behind it, and we wanted our customers to understand why we do what we do. It’s all about family, which is the most important thing to us. Do you create all of the designs or is it a collaborative team effort? Fortunately, I have some awesome people who help me with the designs. We have a creative art director who illustrates all of our T-shirt graphics by hand and comes up with a lot of the concepts himself. 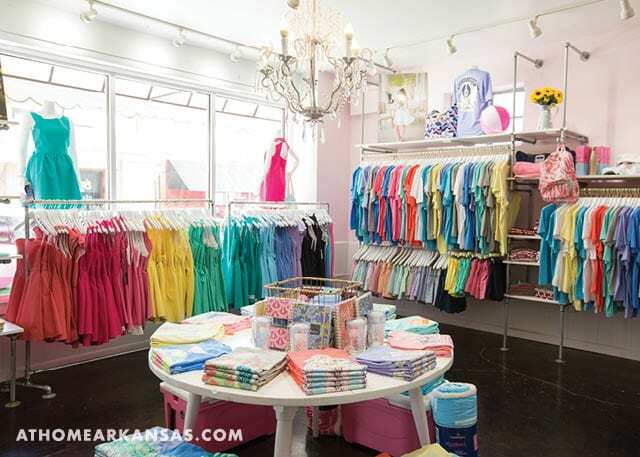 We are also fortunate to have an apparel designer who moved to Arkansas from South Carolina. She has such an amazing understanding of the brand, and it’s been awesome to collaborate with her. We also let our entire team have a say in what we design and what makes the line. I think it’s so important to get real opinions from our team regarding what they would buy and what they want to see. All of your items seem to have such an approachable, Southern feel. How do you continue to create things with this aesthetic in mind? We believe that being Southern runs deeper than geography. It’s an intimate understanding of gratitude, family, and grace. Every design and everything we do is a representation of those qualities unbounded by state lines. Our goal is to produce quality apparel and goods for the modern woman with comfort and elegance at our core and the South in our hearts. We also have a brand slogan of “your day just got better,” because we believe that everything we do—from designing our clothing to the customer service we provide—should strive to make our customer’s day a little bit better! What’s on the horizon for Lauren James? Customers will see our new custom bridesmaid shop, which lets brides pick their favorite style and then choose from a list of custom colors and fabrics. We make these woven dresses in Dallas, so it’s easy for us to do a run of dresses for our brides and turn them around in just six to eight weeks. We also have an exciting new line of licensed collegiate apparel launching in 2018. We are currently licensed with over 25 schools around the country, and we print all of our shirts in-house in our state-of-the-art printing facility. This allows us to react to special events and games to create custom shirts. We have seen great success with our March Madness shirts, National Championship shirts, and our brand new NCAA Baseball Tournament shirts, and will continue to offer event-specific shirts. The next couple of years are going to be huge! 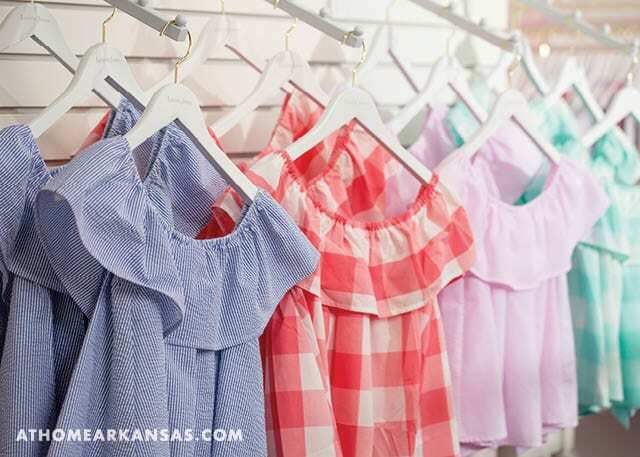 In Arkansas, Lauren James clothing and accessories are available in their Fayetteville flagship retail store, through their website, and through numerous other specialty retail stores throughout the state. 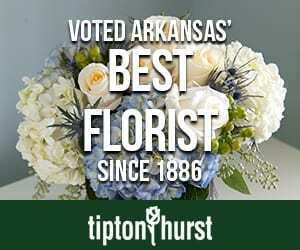 Visit their website for a complete list.